In only its first year on the market, the Nintendo Switch has received high-quality games from just about every genre you’d want minus one: survival horror. 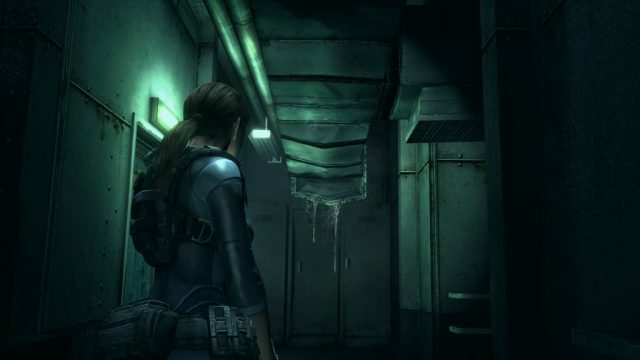 Resident Evil Revelations Collection aims to fill the missing gap by bringing not one, but two, mature horror games to the system. The first is Resident Evil Revelations that originally released on the Switch’s predecessor five years ago before being brought to every other modern console. 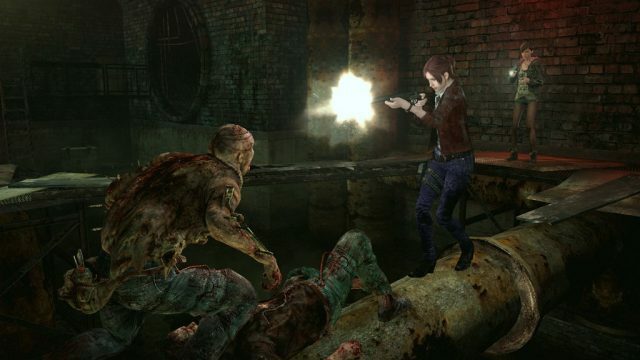 The second is Resident Evil Revelations 2, an episodic horror game that is now being offered for the first time on a handheld device. 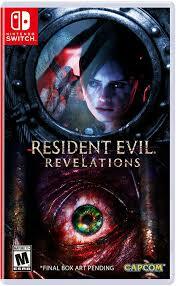 Resident Evil Revelations started out five years ago on 3DS, so it was always designed for portable gameplay. In handheld mode, Revelations works wonderfully. Playing as Jill Valentine on an abandoned ship is one of the most genuinely terrifying experiences that the Resident Evil series has had in a long time. Much like the Arklay Mansion in the first Resident Evil, the Queen Zenobia cruise liner is the real star of this game. The corridors are narrow and dark, creating a true sense of dread around every corner. You never quite know what’s on the other side of that door, and even when you find out, you’ll wish you didn’t when you realize that you’re out of ammo. It’s an adrenaline-pumping experience that kept me coming back for more over the course of the 12 hour story, except when interrupted by rampant pacing issues. Revelations occasionally switches from the Queen Zenobia to other main characters in different locations, and it kills the enjoyment entirely. Outside of Jill and her partner, the rest of the cast is bland and annoying. It doesn’t help that these switches eschew the horror elements for straightforward action. The pacing problems plague what is otherwise is a fantastic return-to-form for Resident Evil fans. Resident Evil Revelations 2, on the other hand, lacks a lot of the scarier elements of the first. Though it has its moments, it’s certainly action-focused as you switch between two branching storylines across four distinct episodes. The main story revolves around series veteran Claire Redfield and rookie partner Moira as they attempt to escape from a deserted island prison. The setup is almost Saw-like, with gore, traps, and death around every corner. The premise is compelling, but takes a while to pay off due to its own struggles with pacing. Similar to the first game, Resident Evil Revelations 2 is best played in chunks due to the constant switch between stories. I vastly preferred Claire and Moira’s storyline over the other pair. What I didn’t enjoy was having to switch between Claire and Moira frequently during missions. Each character has their own unique quirk that they can do like finding hidden items. This requires you to constantly switch back-and-forth, which almost always kills the momentum. This issue is solved with the welcome ability to complete the entire story in local or online co-op, but that feature has its own share of problems. 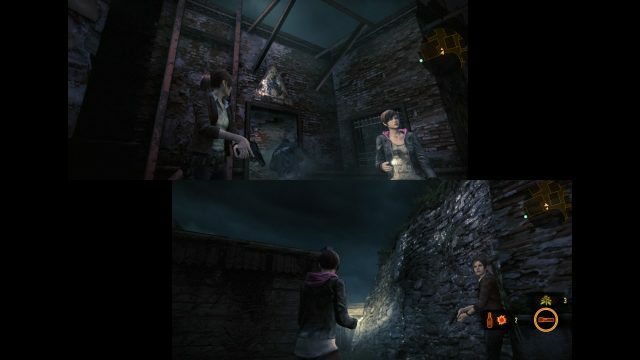 Though Resident Evil Revelations 2 is more enjoyable with another person, it has a bizarre design for splitscreen. As seen in the above screenshot, splitscreen leaves almost half of the TV screen unused, making each person’s already small portion even tinier. This is made worse by the other rampant technical problems that both games suffer from. For one, the Resident Evil Revelations Collection has insane loading times. Even though each game is its own separate download (or cart), the loading times are absolutely awful for both. At best, it takes a minute to boot up each game. This is somewhat masked by an optional mini-game you can play, but you will still find yourself picking up your phone or doing something else anytime it loads otherwise. For Revelations in particular, its specific issues arise from the resolution changes. Though it is arguably one of the best looking 3DS games, that can’t be seen at all on a TV. The imperfections of static, flat backgrounds and the blurry HUD are shamefully seen when you play it docked. In the case of its sequel, there are occasional screen tearing and textures that pop in-and-out. However, the Resident Evil Revelations Collection looks great and doesn’t really suffer from any of these issues when playing in handheld mode. In fact, the episodic nature of both games lends itself well to portability, making it the best way to play these games. 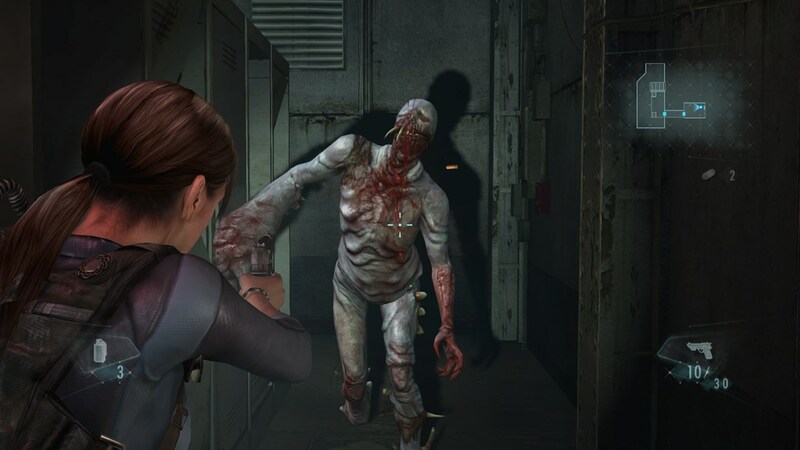 Resident Evil Revelations Collection brings two survival horror games to Switch with a host of problems, including some absolutely terrifying loading times. It’s a shame because both games work so well in handheld mode. Whether it’s running for your life on a desolated cruise ship or island, this Collection offers some of the best moments from the entire Resident Evil series if you’re willing to sacrifice the technical quality.